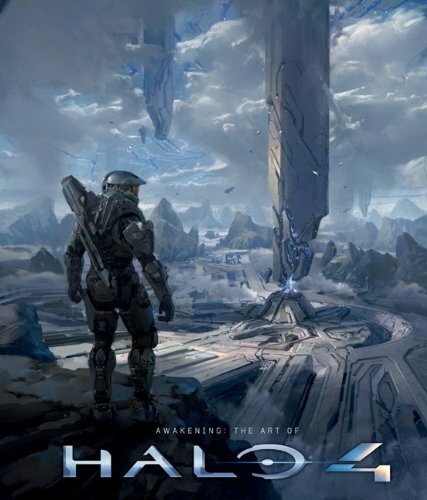 Halo 4 is back with a bang and this is an excellent video game art book for it. It's a large 192-page hardcover published by Titan Books. Each page is filled with lavish concept art printed huge, sometimes across two pages. There's a good amount of environment paintings that look really great because they are printed so big — great for soaking in the ambiance. The environment paintings are easily the highlight of the book. I love the very physical look of the designs. And those with wide open spaces look majestic. Other concept art include designs for Master Chief, Cortana, Spartans, troops, Forerunners, weapons, vehicles and ships. They are all amazing and detailed. It will take a while to look through the art. There are several artbooks for Halo, and this is one of the best, and one of my 2012 favourite artbooks as well. Highly recommended for Halo fans.